December, the year is coming to an end, conversations are getting deeper, memories are relived and ambitious plans are made. We suddenly discuss every form of time, whether it is in the past or in the future, time has gotten our full attention. 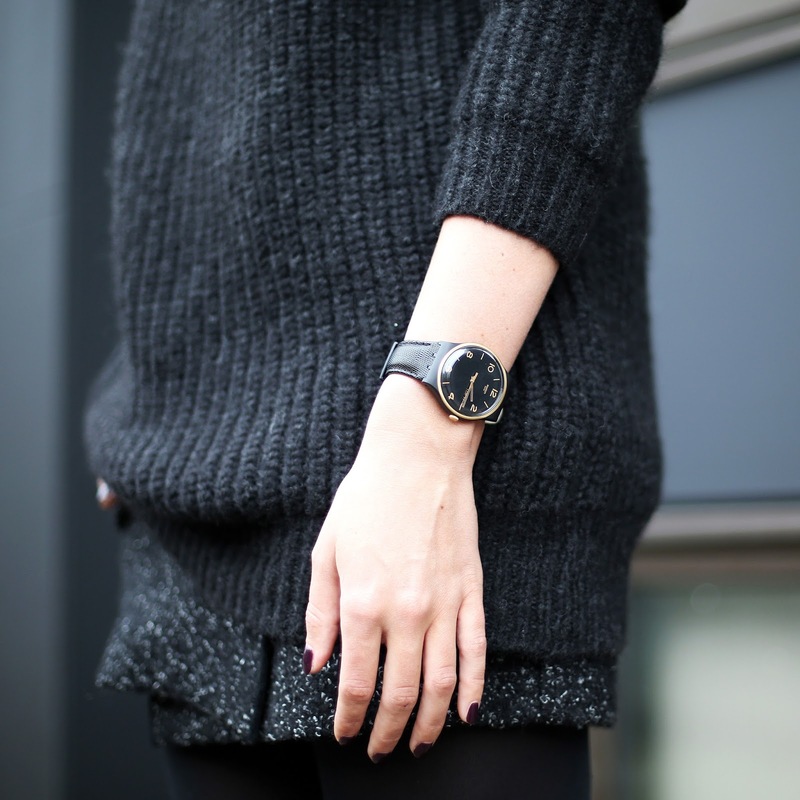 So why not style three looks with the help of Swatch? 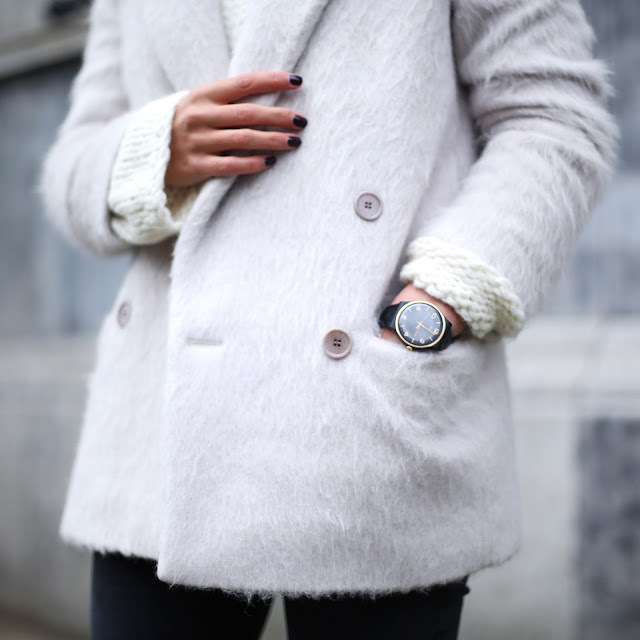 Time in fashion equals watches. 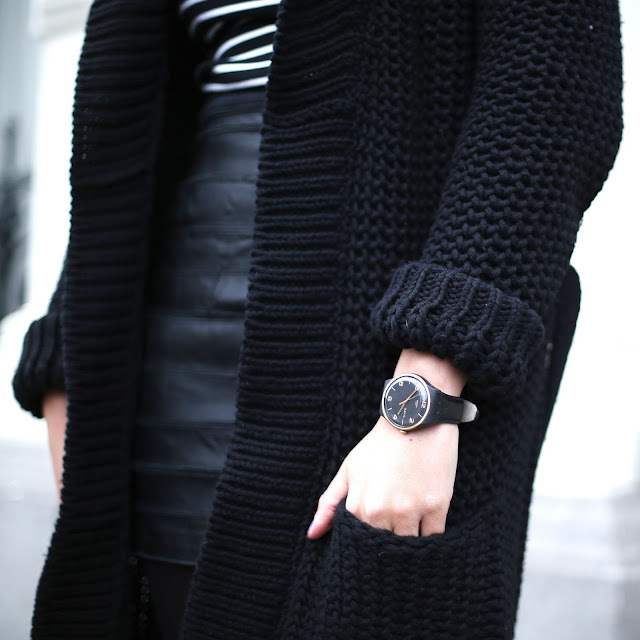 Watches + fashion = Swatch. With 30 years of expertise Swatch has become an iconic classic for all wrists. Their watches are an expression of pleasure, a provocative statement or just an utter practical gadget. Even after 30 years they managed to always surprise us with their monthly releases of new creative, trendy styles spread over various "families". To accompany me during the upcoming festive days I have adorned myself with the black Rhossili. The combination of the black leather strap and the golden index on the black clean dial gives the watch a strong classic look, ideal for my taste. It's a watch that constantly contributes to all your looks, those being chic, casual or even edgy. So are you still looking for a nice Christmas gift for your friends or family? Or just want another cool wrist accessory? Check out Swatch's online shop here (free delivery). Note: Due to high demand the Rhossili is unfortunately sold out in the webshop. But it's not too late, you can still score yours at the Swatch store Amsterdam, Rotterdam and Utrecht. Super! Je hebt met deze post je stilte van de afgelopen dagen helemaal goed gemaakt;) ik miste je leuke inspirerende outfits!!! Je eerste look is mijn favoriet! The second outfit is my favorite even though I really like your skirt in the first as well! The second outfit is divine.. that fuzzy jacket looks so cosy! Love!